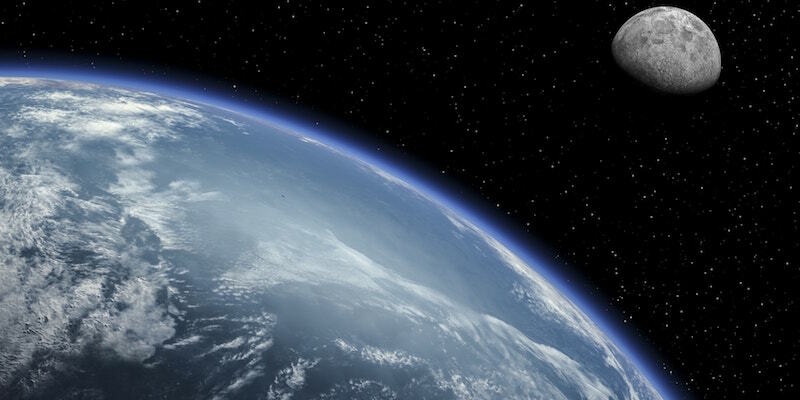 The commercial space industry has taken enormous strides in recent years, with much of the buzz centered around private launch companies, reusable rockets, and innovative satellite applications. Many of these exciting advances, however, rely upon a key infrastructural component that has yet to receive the same level of media coverage: in-space communications. Until recently, deep space communications relays have been largely left to NASA’s legacy ground networks and extant radio frequency (RF) terminals, which have a limited capacity. Thankfully, ATLAS Space Operations is providing commercial space communications with a substantial upgrade. From its headquarters in the upper Midwest, ATLAS is set to change the space industry in a massive way. They’re developing a global network of satellite communications ground systems that will provide commercial and startup ventures on-demand access to their space-bound assets. What ATLAS can offer both big and small space companies alike, is a fundamental shift in communications capabilities, which will advance the space industry’s broader ambitions. This extends from commercial lunar services to deep space missions and beyond. ATLAS represents a viable commercial alternative to legacy satellite ground networks. It’s no secret that satellites have been a major force within the commercial space industry in recent years. There are now over a thousand functional satellites orbiting the planet—more than at any other point in history. Many of these new satellites (and their operators), however, have been limited in their choice of ground networks—the critical Earth-based infrastructure, like antennas, that enable communications between control centers and orbiting assets. The recent flood of commercial satellites and Cubesats now in orbit are clamoring to send home data, but current ground networks are struggling to keep up with demand. In the years ahead, as the number of satellites and other in-space assets increases, this disparity will only become more apparent. ATLAS is positioned to be a leading solution to the commercial space industry’s looming ground station woes. By marrying a global network of software-defined radio antennas with a proprietary cloud-based data processing platform, ATLAS is offering clients “space operations as a service”—essentially, on-demand mobile access to satellite data without the need for expensive site hardware. 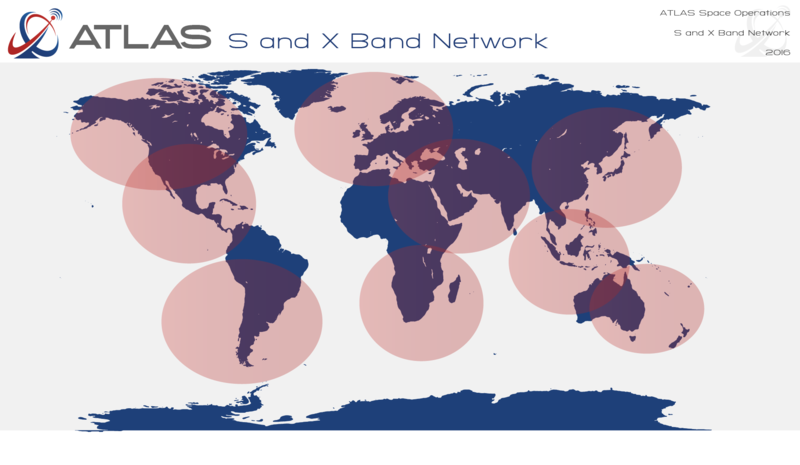 The company leverages both ATLAS-owned and partner antennas around the globe in order to provide their clients with continuous coverage across a range of bandwidths—for one-third the cost of legacy service providers. While ATLAS’ solutions will revolutionize access to space-based data, their services are affordable and appealing to entrepreneurial space startups seeking to gain footing within the commercial space landscape. ATLAS’ answer to NASA’s Deep Space Network will enable high-speed, high-capacity communication in unexplored territory. The problem of reliable communication between the Earth’s surface and in-space assets has long been a headache for the space industry. When Curiosity landed on Mars in 2012, it took Mission Control fourteen minutes to send a communication to the rover—and yet, scientists knew that it would only take seven minutes to clear the Martian atmosphere and reach the planet’s surface. The rover had to be equipped to slow down and perform a safe landing more than 200,000 km away, without human assistance, in a process dubbed the “7 Minutes of Terror” by NASA. 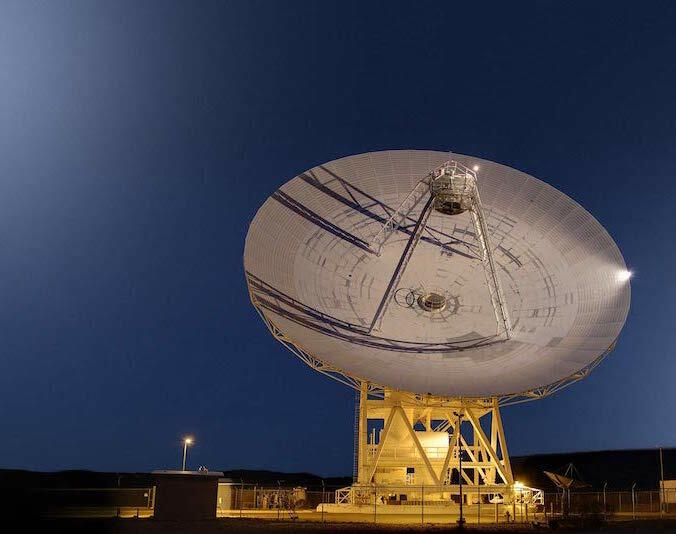 While the Curiosity Rover landed smoothly, the projected uptick in on-surface Martian exploration will put unprecedented stress on NASA’s current deep space communications relay, the Deep Space Network (DSN). As the number of assets in Martian orbit is expected to drastically increase in the years ahead, the data load on the DSN will be further strained. This new traffic will come with inherent risks, magnified by the fact that Earth-bound operators are unable to intervene in unexpected circumstances without a clear line of communication. ATLAS has a novel solution to this infrastructural challenge. Beyond its network of ground stations, the company is also developing the world’s first commercially-available deep space communications relay: the Interplanetary Satellite Communications Network (ISCN). As a step towards deploying the ISCN, ATLAS has announced that they are building a phased array antenna in Phoenix, AZ, which will serve as the ISCN’s first ground station terminal. This phased array will be electronically steered, and capable of capturing faint signals from deep space, much like NASA’s DSN. ATLAS will also soon be proving the ISCN’s capabilities in the vacuum of space. The company had initially planned on launching a pathfinder satellite aboard NASA’s Space Launch System (SLS) in 2018, as part of the agency’s Cube Quest Challenge. But with the SLS schedule slipping, ATLAS is taking their technology straight to commercial partners. Oh, the places we’ll go! Partnership between Astrobotic and ATLAS creates a turnkey solution with uncharted potential. Last month, ATLAS and fellow Space Angels-funded venture Astrobotic announced a unique partnership to enhance each company’s commercial services. 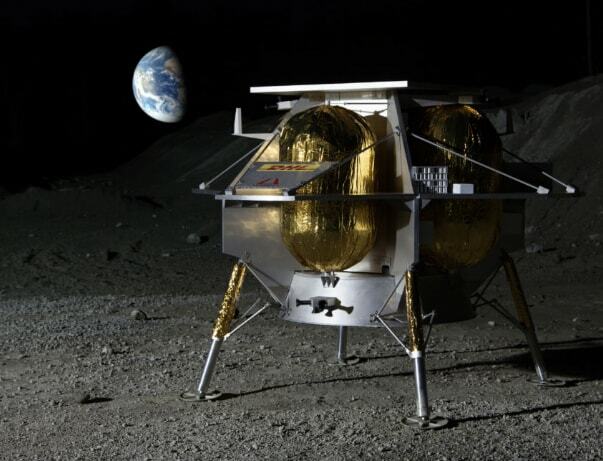 Prior to the partnership with ATLAS, Astrobotic was able to offer its customers cost-effective, reliable lunar delivery by applying a “rideshare” model to client payloads. However, the company wanted to improve their lander’s communications capabilities, and increase each payload’s nominal bandwidth—which was capped at about 2.8 kilobits per second (kbps) per kilogram of payload. By hosting ATLAS’ laser communications terminal aboard their Peregrine lunar lander, Astrobotic will be able to relay a whopping one gigabit of data per second for its customers. That’s a thousand-fold increase over previous capabilities. Think of it this way: if you “surfed” the internet in 1992 (as one did, in the parlance of the day), images and other data would load at speeds around 2.8 kbps. And as you’re reading this article, in 2017, you may be connected to internet running at round 1 gigabit per second (Gbps). In short, ATLAS is propelling the in-space communications segment through twenty-five years of technological advancement, and one day—soon—receiving messages from objects on the moon will be as painless as posting an update to social media. ATLAS is overcoming the deep space communication barrier to change the space industry as we know it. ATLAS Space Operations represents a valuable addition, not just to the Space Angels portfolio, but to the entrepreneurial space industry on a grander scale. The deep space communications technologies that ATLAS is developing will first be deployed on the Moon in partnership with Astrobotic, but they can then be extrapolated for deeper space connectivity. By making communication between Earth and space accessible, affordable, and commercially-available, ATLAS will enable emerging space startups to actualize business goals while also playing a vital role in the future of the industry.